Rodilal Meghwal, father of the student said that the incident happened on July 2 at the Government Girls Upper Primary School in Utharda village in Salumbar. 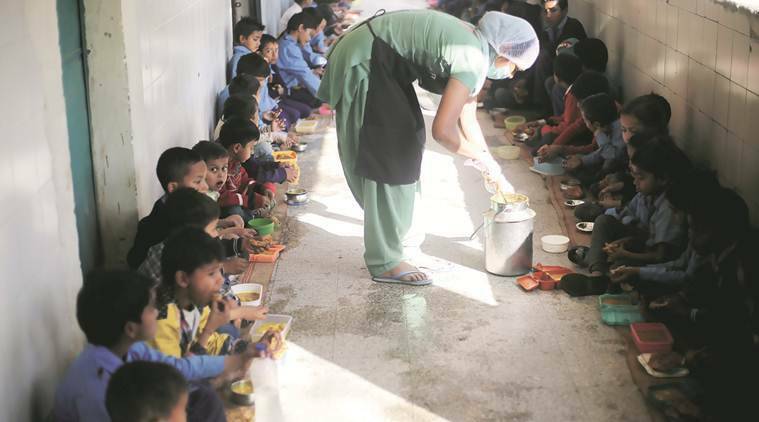 A Dalit student of Class VIII at a government school in Udaipur has alleged that she was discriminated against by a school helper when she had gone to fetch chapatis for a mid-day meal. The helper was sacked on Monday. In a video uploaded on the internet, the 14-year-old student (name withheld) said that one of the teachers had asked her to fetch chapatis. “When I went to fetch them, the bai (maid) said tu neech jati ki hai (you are of low caste), yet have touched the chapatis. She alleged that I was taking them home and that I was ignorant of such things (polluting items by touching). She scolded me and I started crying. And then she threw all the chapatis to dogs, just because I had touched them,” the girl said. Her father Rodilal Meghwal said that the incident happened on July 2 at the Government Girls Upper Primary School in Utharda village in Salumbar. However, officials took note only after the video went viral over the weekend, he said. “We haven’t lodged a police case. The lady has apologised and we have forgiven her,” the father said. Shivji Gaur, Deputy Director for Elementary Education for Udaipur Division, said that he came to know about the incident on Sunday. “We immediately instructed the concerned block officer to investigate. The School Management Committee also held a meeting on Monday where the cook/helper Kamla Vaishnav apologised.” However, the SMC decided to remove her, Gaur said. Love Dev Bagdi, Udaipur president of BJP’s SC Morcha, has ewritten to the CM on Monday, seeking the cook’s arrest.